If you refer to the “Egli-Vincent by Egli” tab, you will learn more about the Egli-Vincent chapter between 1967 and 1972. 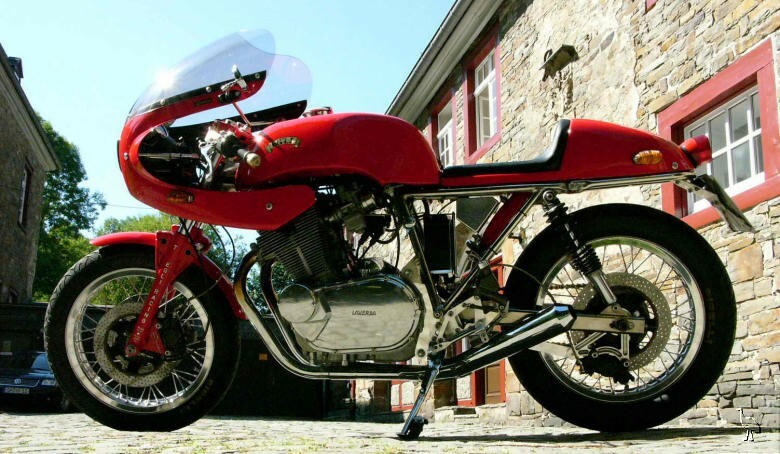 At that date, Fritz stopped to manufacture the frames for Egli-Vincent and focused essentially on the Japanese power plants but not exclusively as a few Ducati, Laverda and other Triumph bases were used. 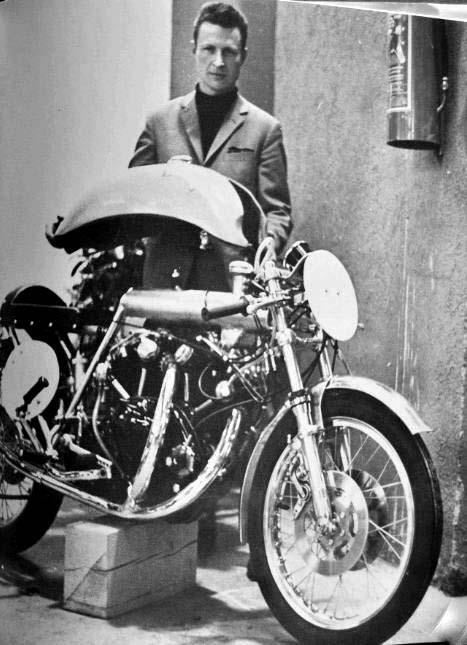 While the market for Vincent was tapering down due to the shortage of donor bikes, Fritz clearly saw the opportunity to grow his business by using the Japanese factory engines. 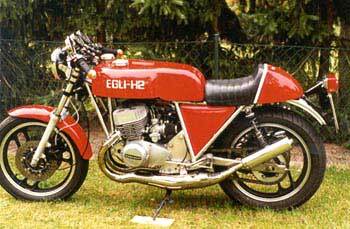 The new superbikes had floppy frames, suspensions and brakes and the Egli recipe would fix this once for all. 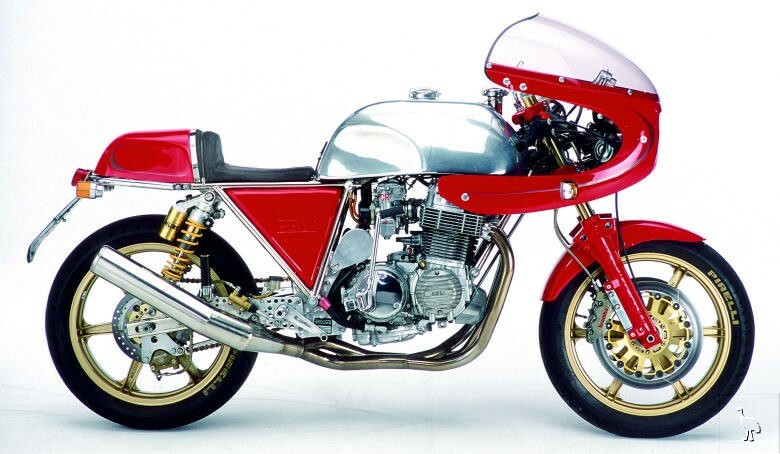 The Honda CB750 Four and Kawasaki 900 Z1 were the most popular but not only as more than 20 bases were repackaged in the Egli frames totaling about 3,250 units over 30 years. Today, Fritz works with twelve employees in Bettwil (CH) but he loves to say that his genuine passion is racing motorcycles and is part of his life. On that perspective, there is no doubt that as a pilot, he is proud of his record at Bonneville in 2009. 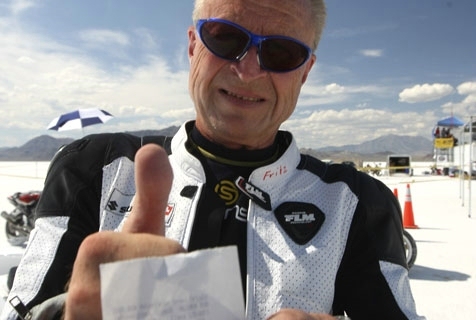 This was achieved at the age of 72 on a Suzuki Hayabusa that Fritz prepared himself. The average speed for the round trip was 337 kph (209.44 mph) with a peak of 341 kph. 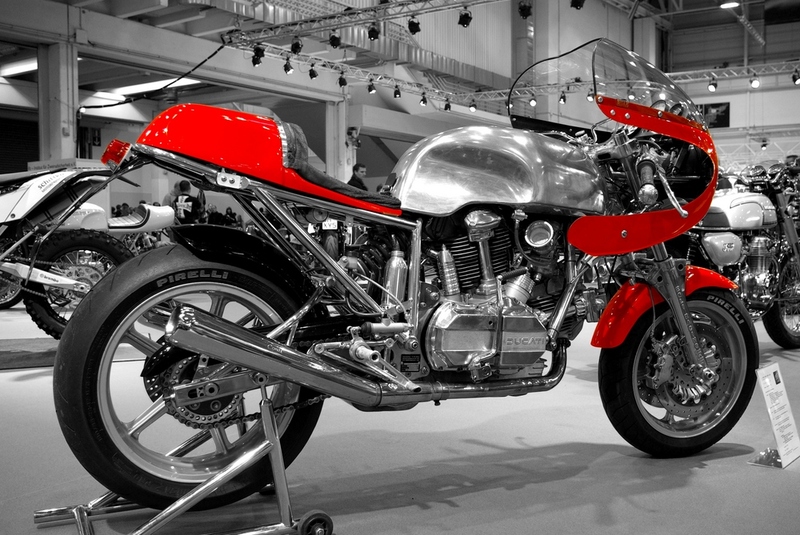 Beside the preparation of modern racers and the importation of Norton 961, Royal Enfield and Chang-Jian (BMW R71 replica), his workshop takes care of the restoration of vintage Egli motorcycles. 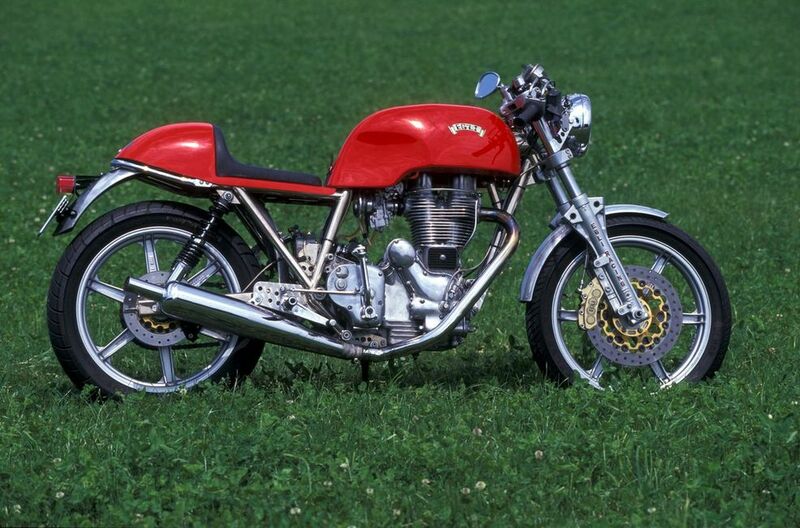 Fritz also has a long-standing collaboration with Patrick Godet, which is the only workshop authorized to manufacture the Egli frame for Vincent. This is how the story has started, Fritz presenting his first Egli-Vincent Black Shadow, 45 years ago. It was his racing bike so she did not even have a side stand. As EV1 is known to be Fritz Peier’s bike, Fritz Egli’s personal racing bike must not have serial number (EV0?). In 45 years, 3,250 bikes were assembled by Fritz Egli. The Honda CB750F was the most popular built . 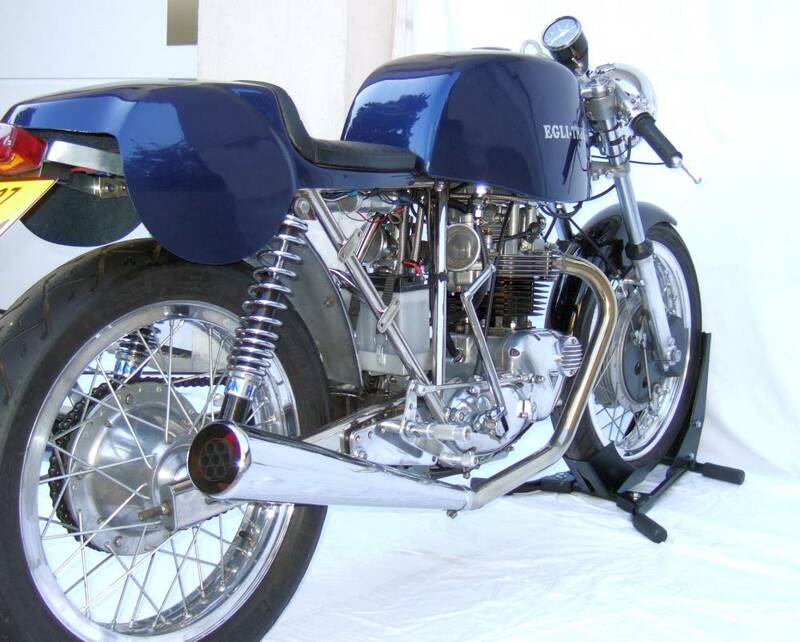 Look at this Egli-Enfield, while she looks so “cheap” in her stock outfit, isn’t she pretty here? 209.44 mph, you rock sir! 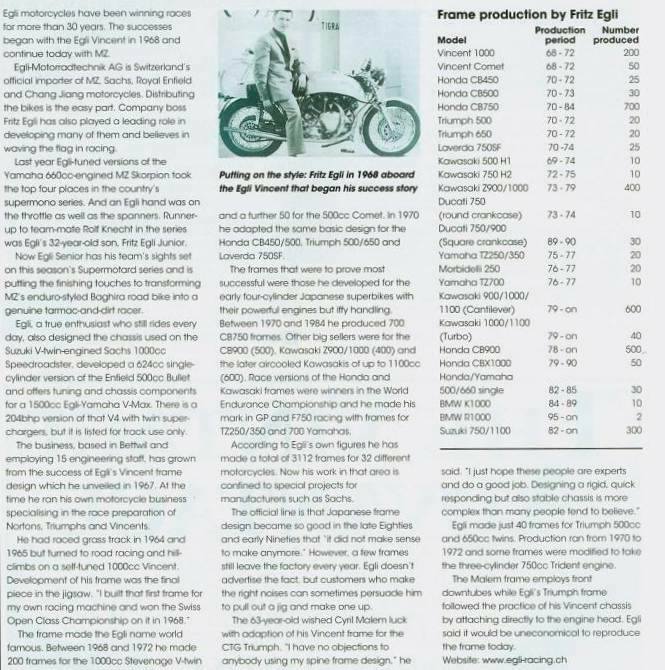 I found this paper in Classic Bikes from June 2000, as part of an article presenting a new bike from Cyril Malem: the Triumph Bonneville racer. 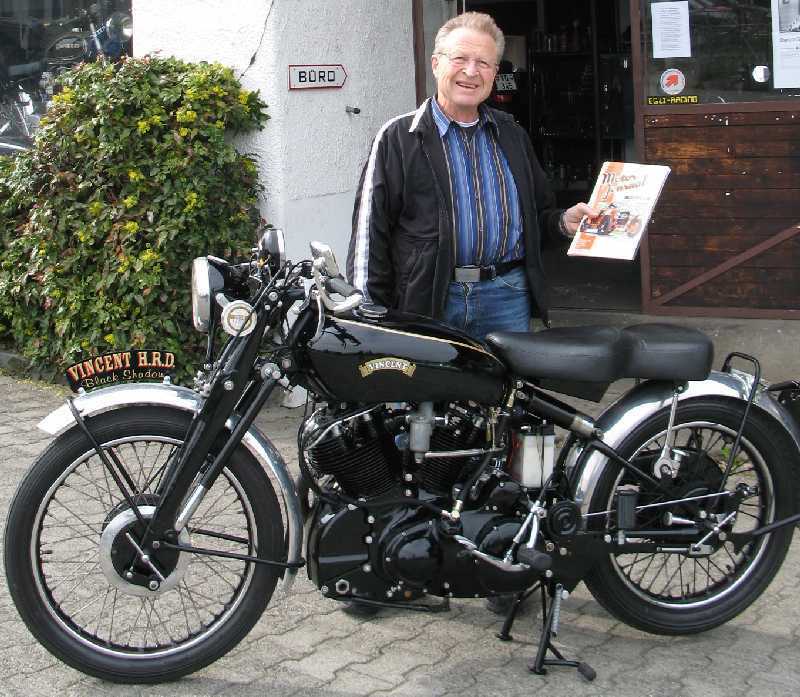 It provides some key indications about the production from Fritz Egli: 200 Vincent twin and 50 Vincent single among 3,112 frames built at that date.